Cold weather is perfect for soup! I love making soup in the Instant Pot, because it cook so quickly, but you can also easily make this on the stove in a soup pot. 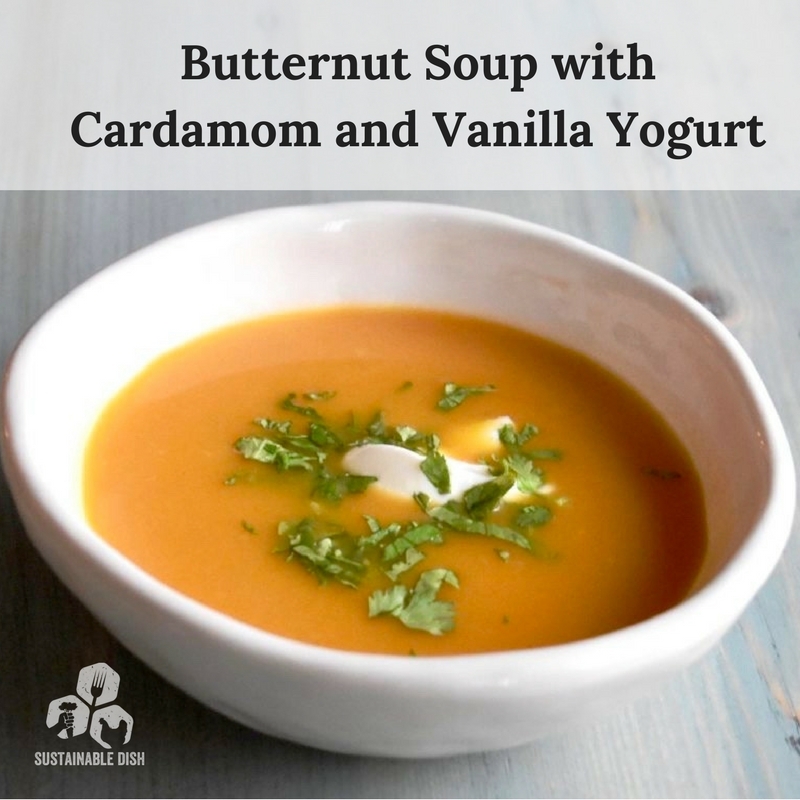 Creamed vegetable soups are also a great way to get vegetables into your kids bellies! I put the soup out before anything else, while they’re super hungry. This way, they eat their veggies and get a bowl full of rich broth without the option of turning up their noses. If you have picky kids, give this a try! This creamy, aromatic soup was inspired by trying to come up with a recipe using some vanilla greek yogurt that was sent to my from Maple Hill Creamery. I’m not a fan of sweet food, and especially not “typical” flavored yogurts. I find they contain way too much sugar and are pretty unpalatable for me because they’re way too sweet. Maple Hill Creamery’s yogurts are different. They use only full fat milk from strictly grass-fed cows, and their flavored yogurts are not too sweet at all. I’m a fan! Want to learn more about how their dairy is produced? 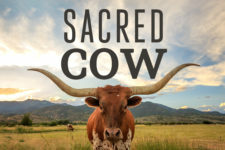 Check out one of their main dairy farms in this video about holistic management. As far as I’m concerned, this is the best quality dairy out there, for environmental and health reasons. Melt the coconut and add the onion. Add the butternut, celeriac, carrots, apple, ginger and cardamom and sautee for another few minutes, until fragrant. If using a soup pot, simply place the lid on and simmer for 35 minutes, stirring occasionally then follow the steps below. Manually release the pressure when the time is done. 20 Ways EAT Lancet’s Global Diet is Wrongfully Vilifying Meat Film Update! Am I Less “Woke” Because I Eat Meat? Your post “In Defense Of Real Food” convinced me to try Paleo, I have lost 10 pounds in 3 1/2 weeks and I feel great! My RA is even getting better.